Decorated by oil paints, stones. Size of the product: 9" (L) x 21" (W). If you like the traditional round shaped storage containers, this one is for you. 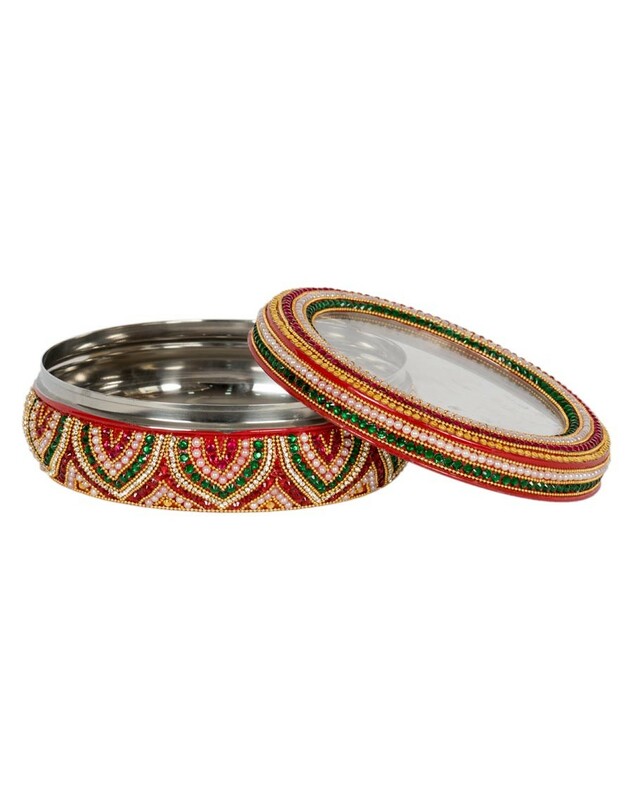 Made of high quality steel and hand painted using oil paint and decorated with colorful stones, the steel dibba is a great container for storing anything. With transparent lid, one can easily see what is stored inside these containers. Highly skilled artisans work painstakingly and lovingly on each piece preserving its uniqueness and beauty to make it everlasting. Be it a Personalized gift, Wedding Gift or Corporate Gift.